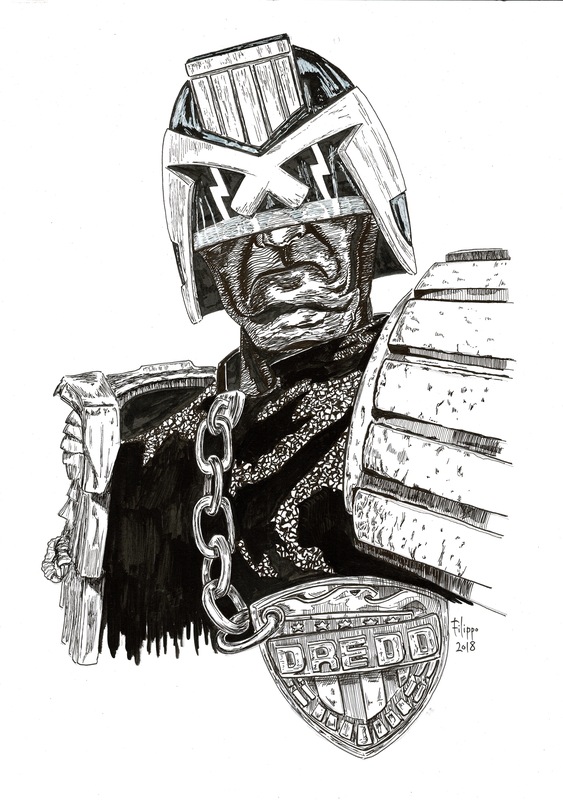 A FANTASTIC movie Dredd head, drawn by the talented Neil McClements. So good! Posted with the artists permission, of course. 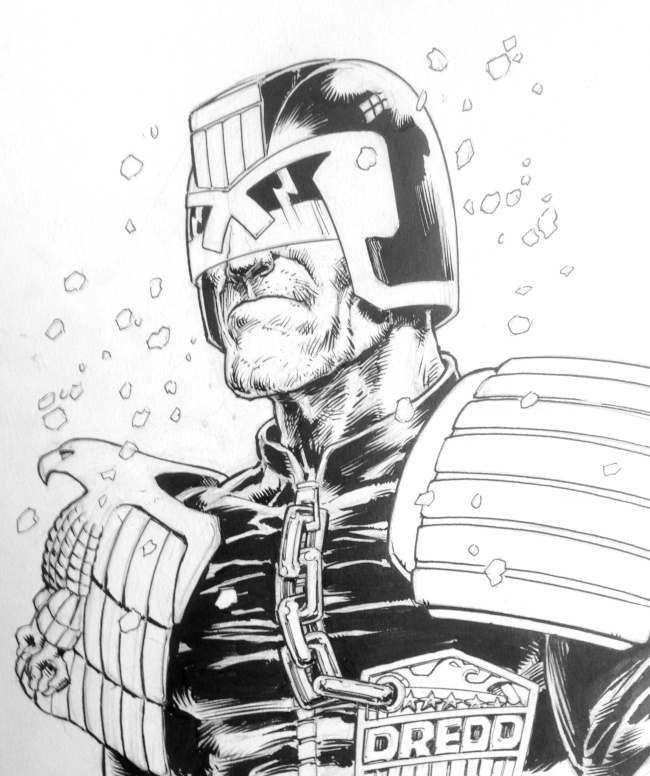 Neil has the most wonderfully dense line-work. Always a pleasure. That's quite brilliant, Sinx! 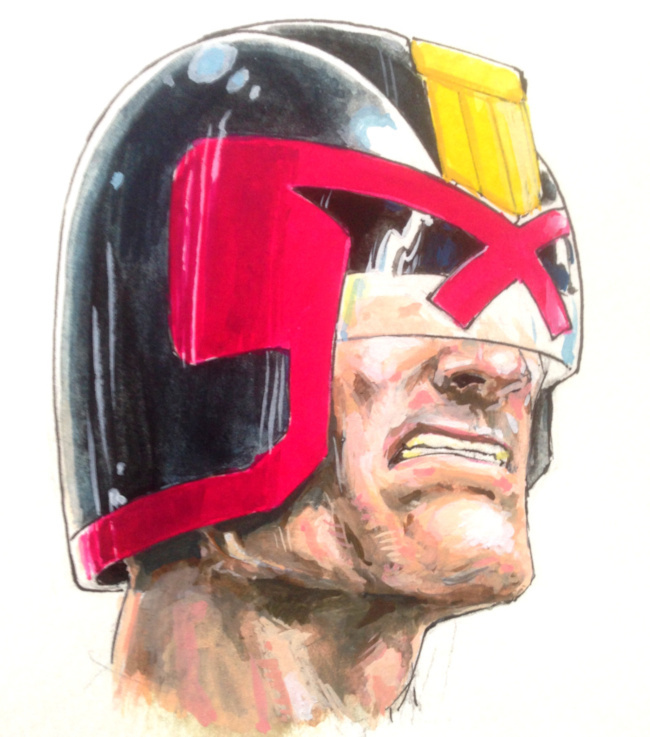 And thank you, Rogue Judge. Much appreciated! 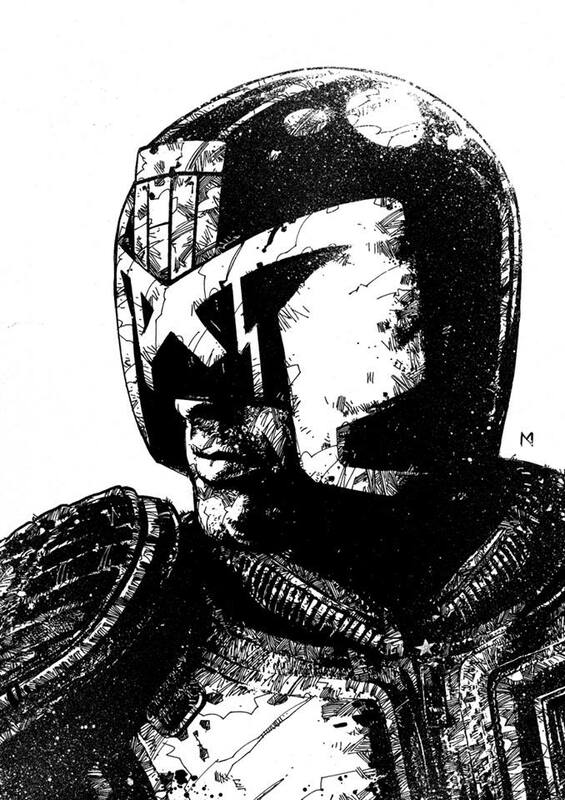 Just to reiterate, the great Dredd I posted above Sinx was drawn by the skilled pen of Neil McClements. 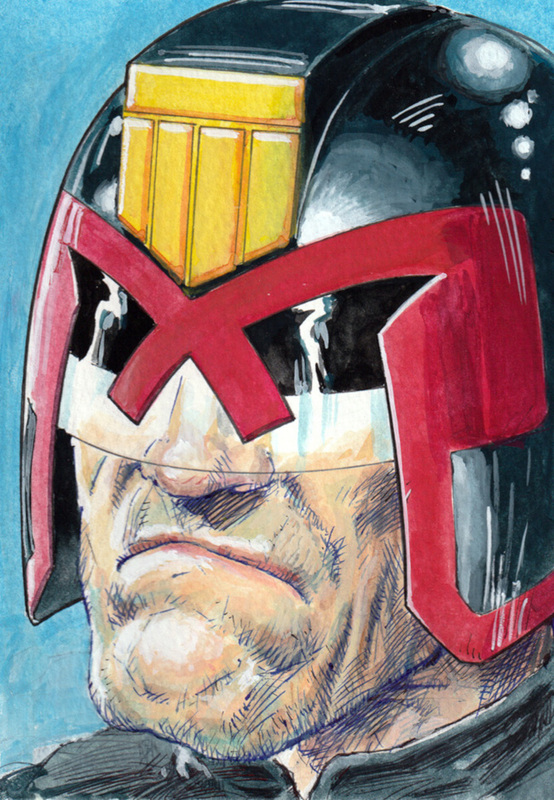 A Dredd head from last year A3 Bristol Board, Micron and jelly roll whitepens.